With our website getting bigger and better each year we here at Vintage Media Group feel it’s our responsibility to accommodate the changing growth of our audience. VMG is very excited to announce, the website is receiving our biggest update yet. The “VMG 7.1” update is going to change the way you look at VMG, and your expectations of hip-hop itself. With a complete overhaul of the website, VMG 7.1 will give the viewers a richer and more detailed presentation of genuine hip-hop media that will be presented in over 80 countries. •	Embed videos directly within the “Featured” carousel. •	“Top Ten” carousel rank posts using several different metrics from a specified time frame. •	“Mobile & Tablet Ready” with new and improved mobile and tablet layouts, it makes your viewing of the website accessible and easier. •	“Top Reviewed” displays top reviewed articles from “The Choice” section. •	“Trending Articles” displays trending articles from the website, in a bar graph style with metric counts. •	“Quick Post Access” allows you to view the most recent post on the site with just one click. •	“Like & View Counts” fully-integrated AJAX tracking system, to keep account of all the views and likes of each post. 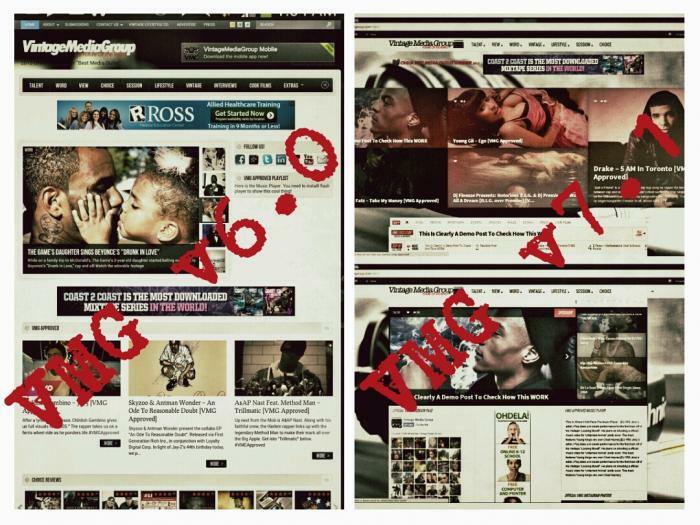 •	Updated “VMG Approved” & “VMG Exclusive” media layout and slider. next Episode 1, Of New Crime Series "Red Dot"